While that was my favorite bible I had to return mine due to severe allergies from the leather dye and the foul smelling ink that was used. They caused awful itchy, blistering rash on my hands, migraines, blocked nose, sneezing, among other problems. 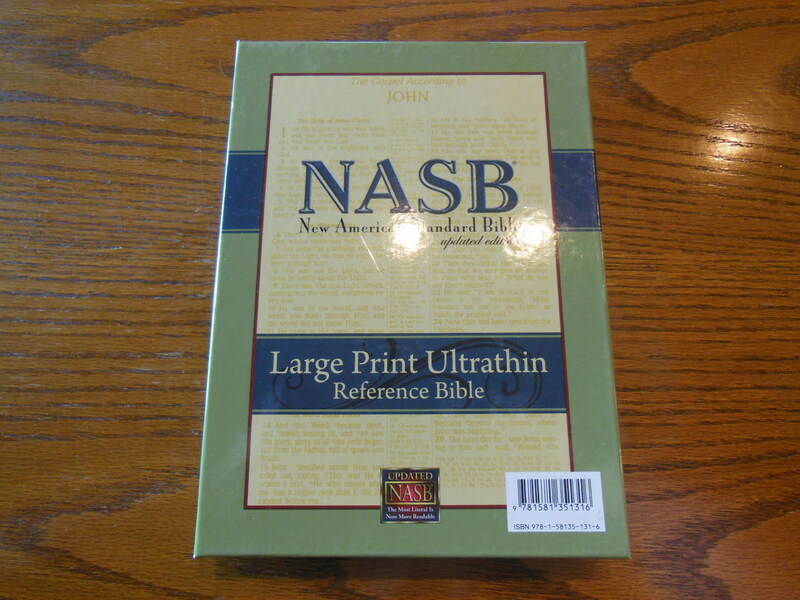 Now I have a NASB Side-Column Reference Wide Margin bible in Leathertex. It is also made by Lockman but has a much less strong toxic smell and does not cause the severe reaction that the one you are reviewing did. This is my favorite translation and text setting, as well. I have this same version, and the only disappointment is the ghosting. But I do love the sturdy cover. I have the same Bible in a 2007 printing, which used very opaque paper. However, that one was poorly constructed, and the cover is too limp, making it tiring to hold. The 2007 printing feels like it will fall out of my hands, because it is quite heavy. The one you reviewed here is wonderfully light and sturdy. I am hoping they will produce another printing that uses slightly better paper but the same sturdy construction.